Brad Keselowski and Kyle Busch leading the field at the 2018 NASCAR All-Star race. NASCAR used a vastly different aerodynamics package for the All-Star race this year, and the racing showed it. 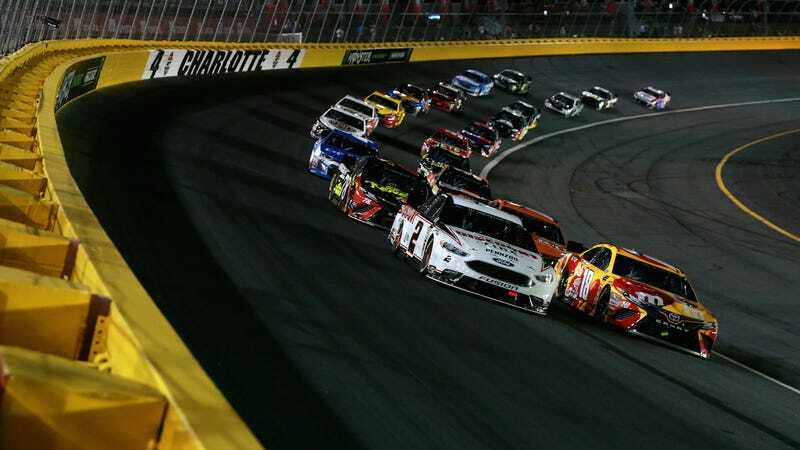 It went from the typical racing style of 1.5-mile tracks like All-Star host Charlotte Motor Speedway, which resembles a conga line full of folks who don’t want to touch each other, to race full of passes and battles for position. 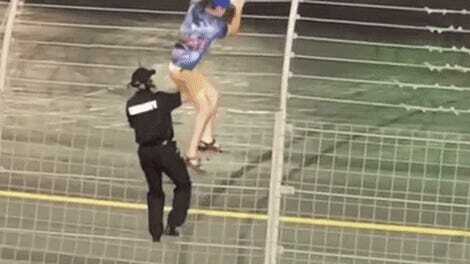 Now, NASCAR may start using this fix more often. “Good” is not something we usually say about the All-Star. We’ve been very, very open in the past about how it just wasn’t working. But this year was fantastic, and NASCAR may start using similar packages on occasion in the future. That’s at least what NASCAR senior vice president of competition Scott Miller hinted at on Sirius XM NASCAR recently. Miller said discussions about the rules package are “ongoing with key industry stakeholders,” according to ESPN. Among the topics of conversation [with stakeholders] was if to use the All-Star package in a NASCAR Cup points race this season. “We’re working with the industry to come up with a plan to potentially look at it again, but we don’t have anything etched in stone at the moment. Since the All-Star race doesn’t count for points, NASCAR usually experiments with it to see how different formats and rules might work in an actual race environment. NASCAR’s broken the All-Star into segments, shuffled the field in between segments, and, for this year’s race, NASCAR brought in a rules package that completely altered the cars’ performance and aerodynamics. The rules package included a different front splitter, changes to the rear spoiler, ducts on the front of the car and a restrictor plate on the engine. It slowed the cars down and gave them more aerodynamic drag, which made them less likely to do the usual spreading out like a broken strand of pearls. “It’s not necessarily what I signed up for to be a race car driver to bring the whole field closer together and have it dictated by some type of a plate race,” Busch said. Not every race at a 1.5-mile track should be a plate race, of course. That would make a schedule that has a third of its races on 1.5-mile tracks even less diverse, and it would make a lot of drivers mad. But it would be fun, until the race teams inevitably find out how reel the racing back into what they’re used to. He’s right. When teams have time to work on new rules and throw their resources at them, the results can change. Either way, it was a good race. NASCAR probably shouldn’t use restrictor plates all the time, every time, but fixing a few 1.5-mile ovals a year wouldn’t be the worst thing in the world.